If classic diamond engagement rings and run-of-the-mill styles aren’t exactly your cup of tea, we get it! 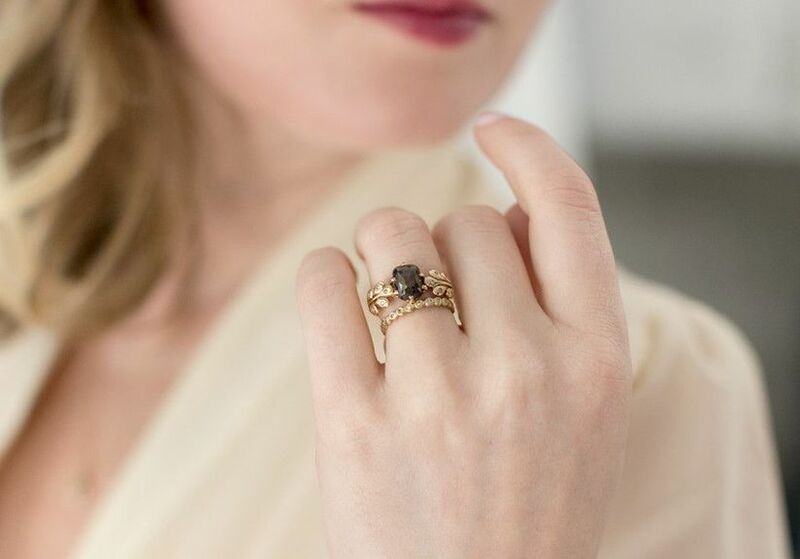 These non-traditional engagement rings were made for the bride who isn’t shy about staying true to herself, even if that means doing her own thing and breaking the status quo. 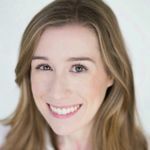 At the end of the day, your engagement ring should be a reflection of your individual style, whether that means rocking a colorful stone, opting for one of the 2019 engagement ring trends, or simply choosing a piece of jewelry you like — even if it wasn’t designed to be an engagement ring in the first place. Take a look at these non-traditional engagement rings for some of our favorite unconventional ideas. This is one of the latest up-and-coming engagement ring trends, and we have to say we’re loving it! 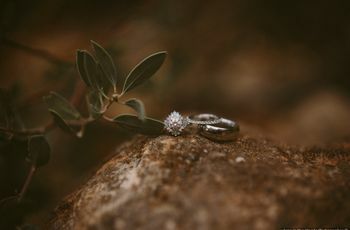 Whether you choose a style with several dainty stones or two larger stones side by side (see: Emily Ratajkowski’s engagement ring), cluster rings are a definite way to break the mold. 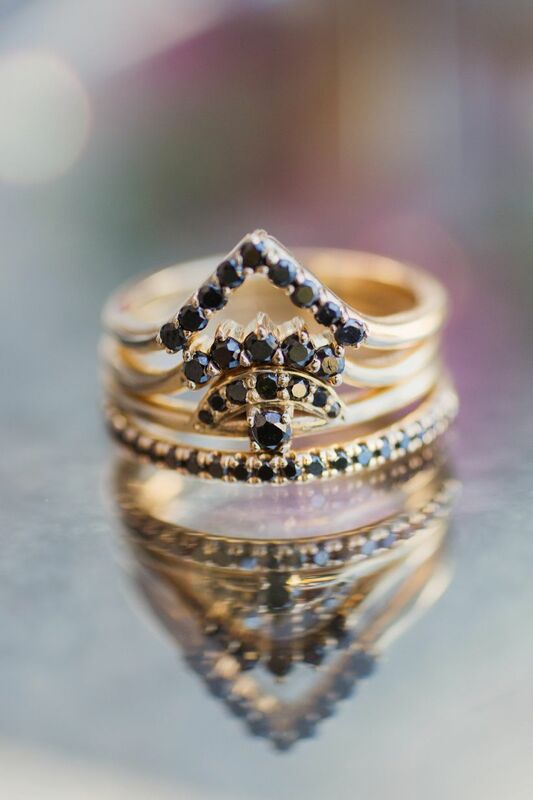 Another non-traditional yet trendy option: ring stacks. This look is super popular when it comes to ready-to-wear jewelry, but it’s just beginning to make its way into engagement rings, which means it’s still an unexpected option. The black diamonds in this set are edgy and cool, but you could swap them out for white diamonds or other gemstones as well. Skip the ordinary diamond engagement ring for a style with pearls as the pièce de résistance instead. 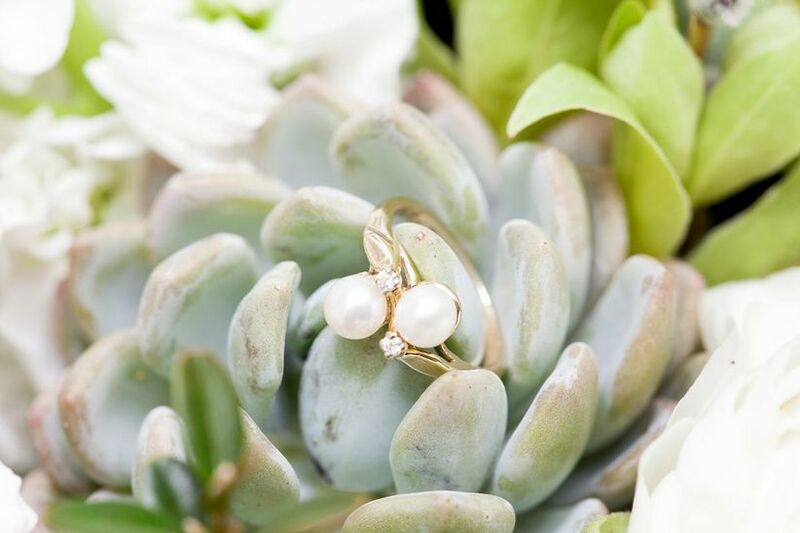 The round pearls require a different type of setting than diamonds or other gemstones normally would, making them stand up higher on the ring — a great option for the bride who wants an eye-catching, non-traditional engagement ring. Calling all nature lovers! An engagement ring with a twig-inspired band is more unconventional than a classic metal style. 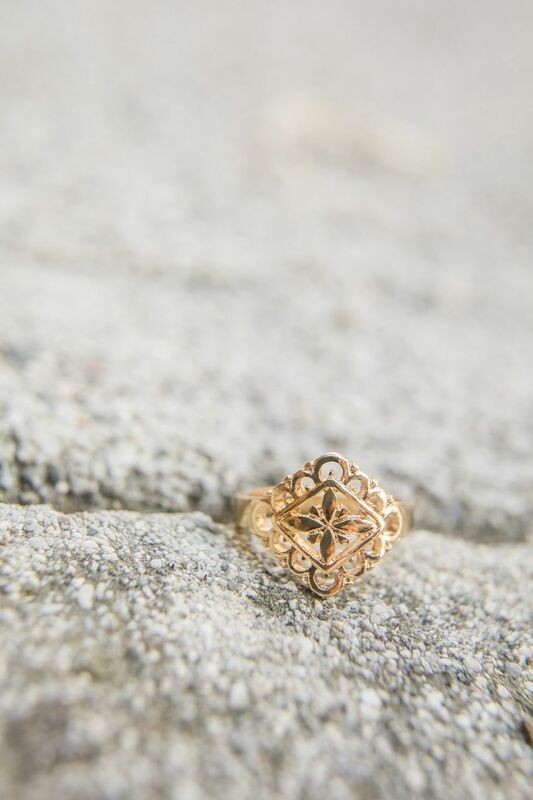 This type of ring is ideal for artsy types and bohemian brides who want a ring with organic, free-spirited flair. 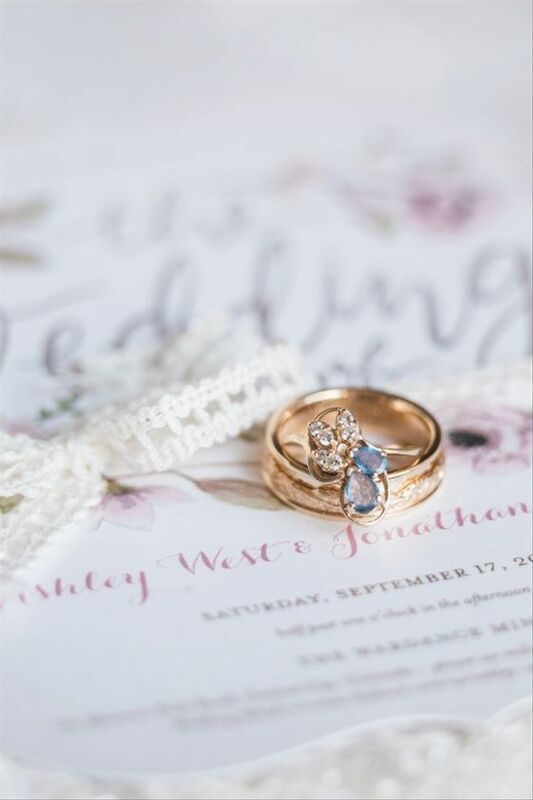 A bright blue opal stone is sure to be a conversation starter — that bold color isn’t something you see on every bride’s ring finger! This non-traditional engagement ring also has special symbolism behind it. 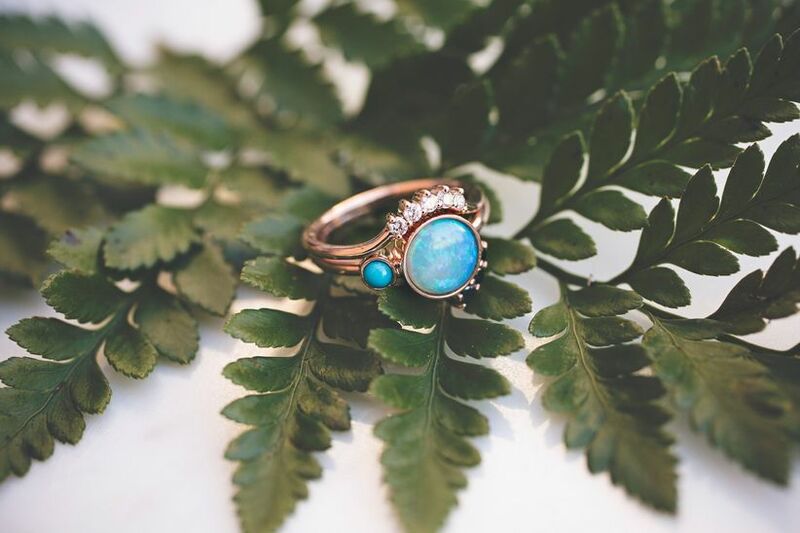 Opals are associated with love and passion, while blue opals specifically symbolize communication and are said to promote emotional balance and stress reduction. 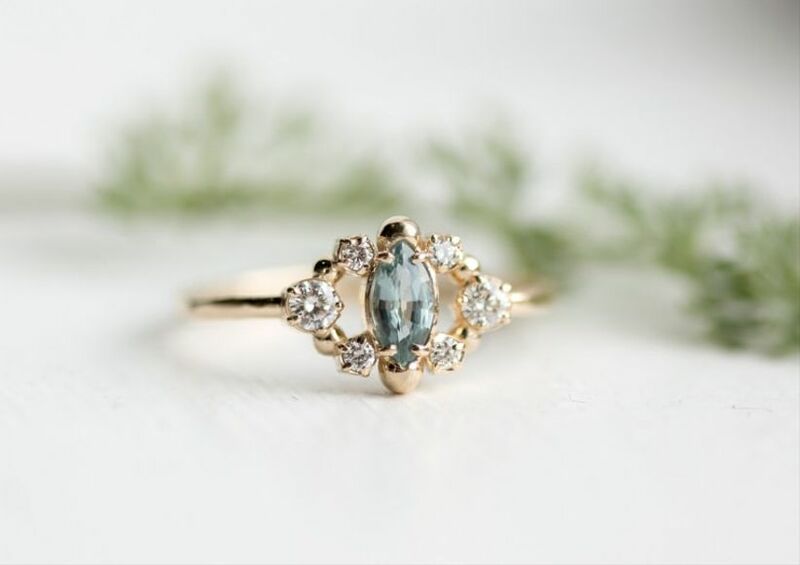 If you’re really looking to shake things up with your engagement ring, an oversized marquise-cut style with a unique gemstone is the way to go. 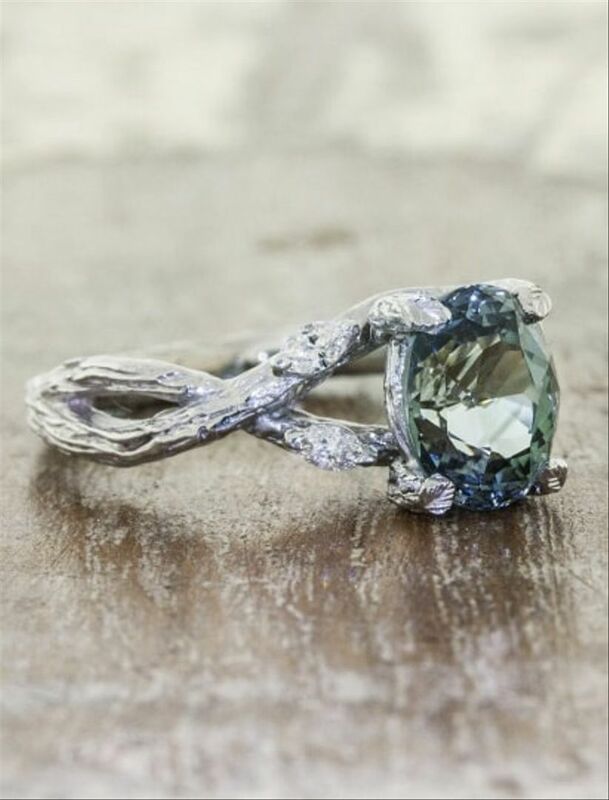 A stone of this size would demand quite the hefty budget if it were a diamond (read more about engagement ring costs here), but your money will go twice the distance if you’re open to alternative gemstones, such as turquoise. On the other hand, it’s entirely possible to find non-traditional engagement rings that still include diamonds. 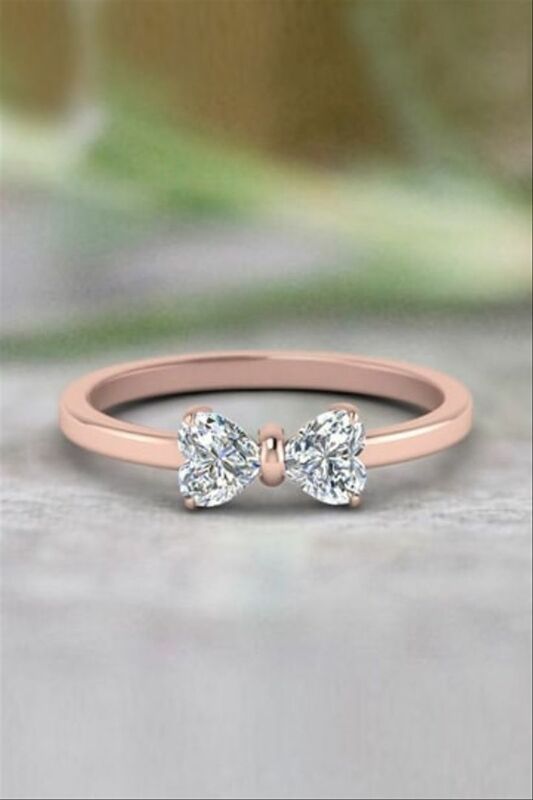 Try an unusual setting like this, which was achieved by placing two heart-shaped diamonds end-to-end to create the illusion of a bow. 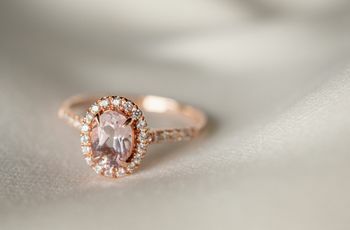 The rose gold band only adds to this ring’s playfulness! Diamonds can also look surprisingly beautiful when left in their natural form. An uncut diamond engagement ring is both conventional and uncommon — the diamond gives you the formality of having a traditional stone, while the rough shape is completely one-of-a-kind. Stick with a simple band to best showcase the diamond’s au naturel look. 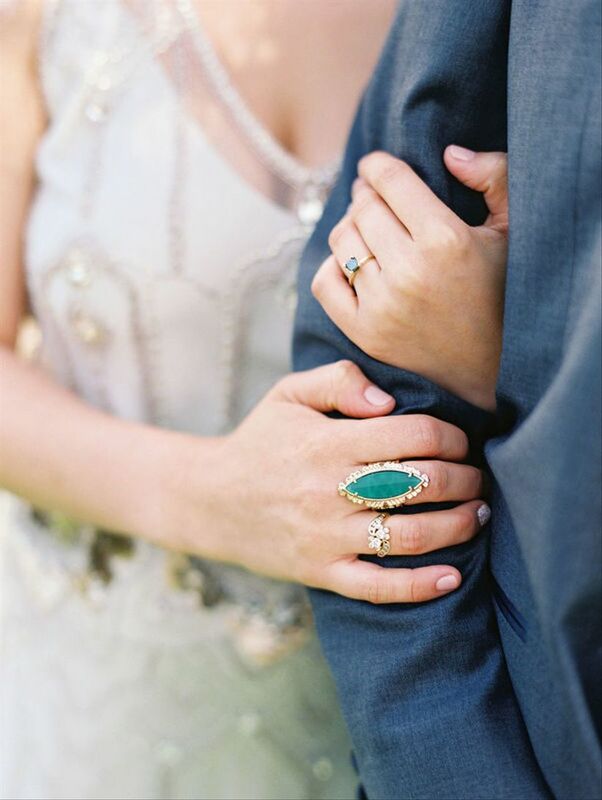 We’ve found the perfect non-traditional engagement ring for any bride who loves vintage style. The delicate diamond clusters on either side of the sapphire are unexpected yet elegant, while the yellow gold setting really highlights the soft blue color. This is Old World romance in a ring! 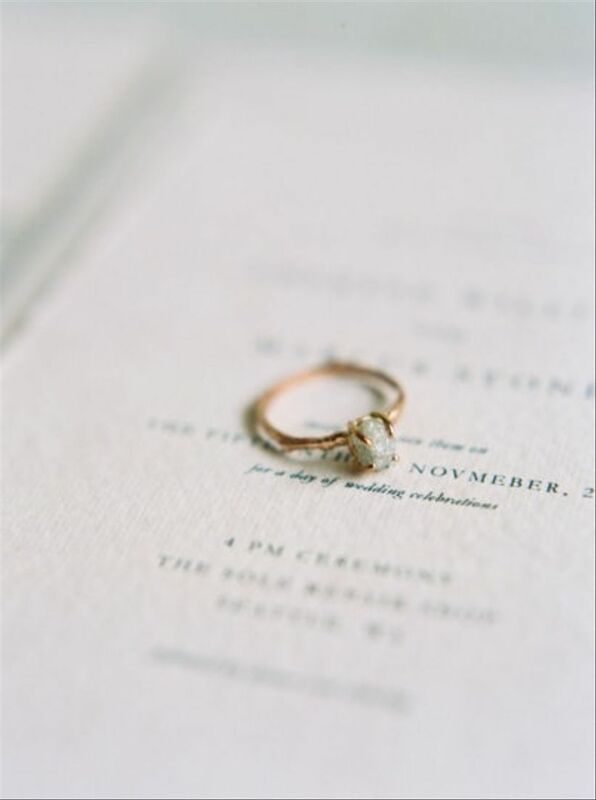 Who says that your engagement ring needs to have stones at all? 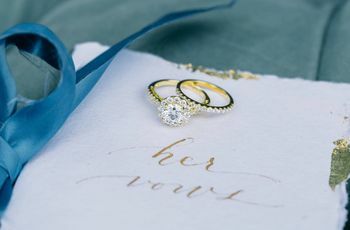 An intricate yellow gold ring is just as lovely, and it’s a practical option for brides who don’t want to concern themselves with maintaining a diamond or gemstone ring. If you eventually decide that you do want a bit more sparkle, you can always pair this type of ring with a pave wedding band.